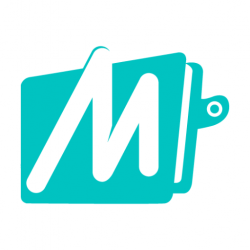 Hey, guys upgrade your mobikwik wallet now and get Rs 50 for free. Upgrade your wallet and say good bye to your monthly wallet limit of Rs 10,000. To upgrade your wallet you just need to submit a KYC document to a mobikwik agent and the best part is you don’t need to go & find a mobikwik agent, the mobikwik agent will come to you. 🙂 This offer is valid till 25th May 2016. Detail steps are given below. 4. Now select the type of “ID-PROOF” and “ADDRESS-PROOF”, you want to submit and click on “Attach file” option. 7. After that, one mobikwik agent will visit you to verify your submitted documents. Kindly keep 2 passport photo ready. That’s it, Your wallet will be upgraded after successful verification and you will get Rs 50 cash back on your mobikwik wallet. 1. Complete your KYC to upgrade your wallet and get a flat Rs. 50 cashback. 2. Request for KYC must be placed between 23rd May and 25th May 2016 to avail the offer. 3. KYC must be successfully completed between 24th and 31st May 2016 to avail the offer.